Stamp a Blessing: Out of the Blue: Hey, Chick! Do you ever sit to create and suddenly receive a ton of ideas and keep going and going. Well, I LOVE when that happens, and always wonder WHERE those ideas came from. Well, certainly and without a doubt, OUT OF THE BLUE 'sky'! Thanks Lord Jesus for the fun creativity and the ideas you send us from on high! 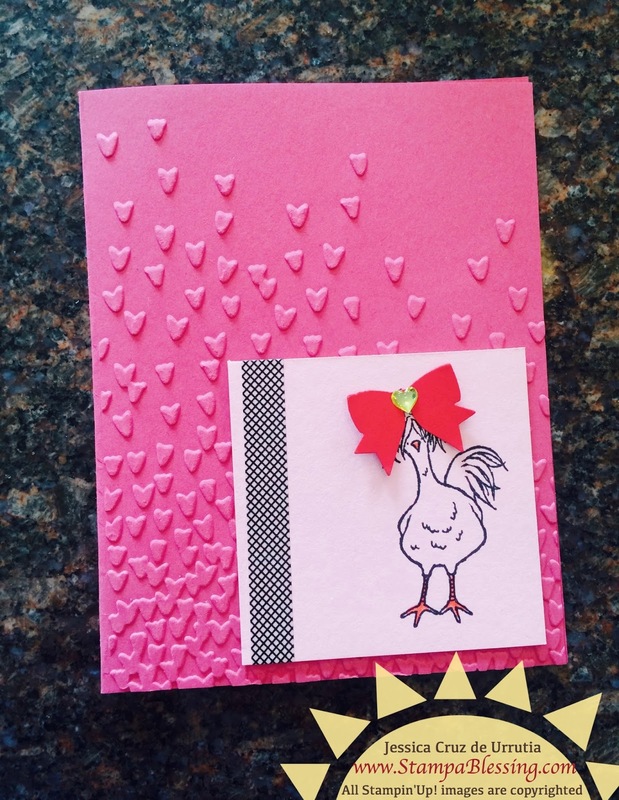 I got to say I LOVED playing with this Sale-a-bration stamp set "Hey Chick". Is the best stamp ever. Check it out! 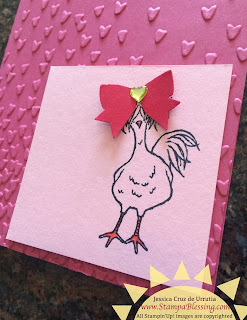 We will be making this cute chik tomorrow at my What's Trending Card Class and much more! My friend Maria and I named this little chick Cecilia! Don't you think she looks so great with her bow? 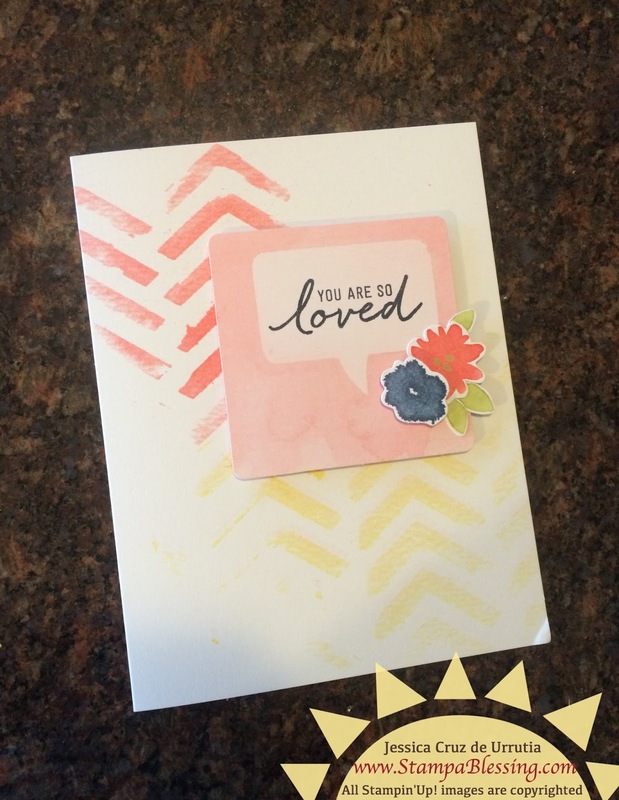 Hope you take a look at this super cute stamp set when you get to pick a Sale-a-bration item for free. Are you getting ready for Valentine's?!! I will be bringing you a cool twist with the Watercolor Wishes Kit next week! Thanks for visiting my blog this week! Hoping you are blessed and inspired to create blessings for others using your wonderful talents. Every good and perfect gift comes from ABOVE "out of the blue sky! ", every gift comes from our Heavenly Father. he is so good!